Whatever the style of your property, traditional or modern architecture, Hormann styles of timber doors in either panelled or tongued and grooved design, offer you the choice to find a style that will add warmth and character to your home. 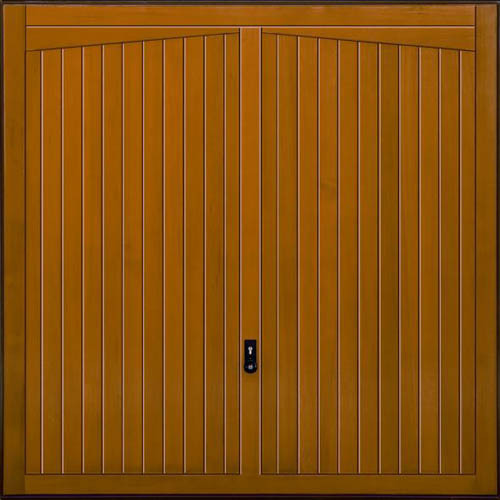 The main material used for these doors is carefully selected cedarwood, with its finely figured grain and variation in colour. Fully finished colour options Wood needs protecting. That’s why in addition to the factory impregnation it is important to apply a pigmented wood preservative to a timber garage door in order to protect it against atmospheric influences and the effects of UV rays. 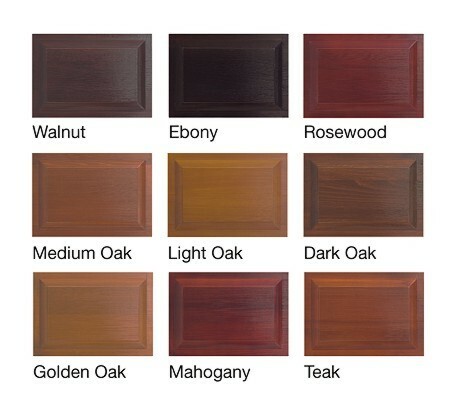 You can thus blend in the door with the timber elements of your property. Hörmann offer 9 colour options as fully finished factory coat. For Security a 2 point locking system is fitted as standard although if more security is required you may wish to opt for the 4 point locking system, as a factory fitted optional extra. 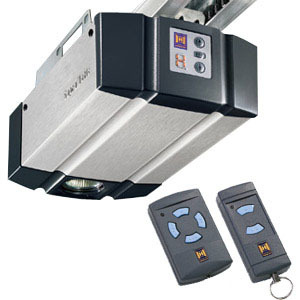 The Hormann 2000 Series garage doors have a number of safety features for example an Anti-fall safeguard, Protective cover profiles on door edges, Protective caps over the lifting arms, Internally guided cables, Safe stops, Precision track guidance. The optional factory fitted steel frames are recommended as they are finished to the same high standard as the garage door making an attractive and complete door set. The Hormann 2000 Series garage doors offer both quality and great value for money. No one likes to get out of their car in windy or rainy weather or in the middle of the night, just to open the garage door. With Hörmann garage door operators, you can open the garage door quickly, conveniently and safely from your car using a hand transmitter.